Will you be filling up early to avoid possible duty increase? George Osborne is gearing up to deliver his annual Budget later this month and many believe there could be some unhappy developments for motorists up and down the country. 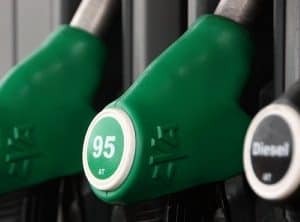 The issue of fuel duty and the cost of petrol and diesel in the UK right now is something of a thorny one, as the massive fall in oil prices in global commodities markets has led to an associated reduction in fuel prices at forecourts across the UK. However, even as the price of oil has pulled down costs for drivers, the proportion of tax that is payable on fuel has remained the same. Indeed, research recently published by the RAC Foundation showed that at present, 74 per cent of all fuel spending is paid straight to HM Treasury – marking out the UK as one of the highest tax nations in terms of fuel pricing in the whole of Europe. Many may therefore expect that the current freeze in fuel duty that has been a feature of Budgets in recent years will be rolled over again in 2016, but the chancellor may have other plans. Rumours have emerged in recent weeks that Mr Osborne could be set to raise the tax on petrol and diesel, as the current low cost of fuel means drivers can afford to pay more. It may be a move that he comes to regret though, as the backlash from businesses and the public to an escalation in forecourt costs could be far greater than he realises. So, with the prospect of an increase in fuel prices on the horizon, will you be purposefully filling up in order to make savings before this year's Budget is revealed?